Courtenay Rock and gem show! This weekend’s weather forecast is rainy. What to do? 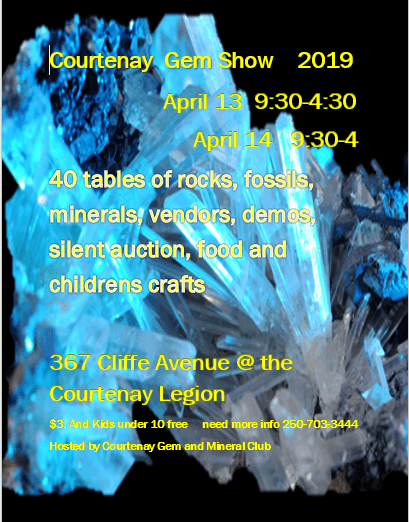 Courtenay’s rock and gems fans all get together for the annual “Rock and gem show”. Over 40 vendors with lots of crystal, stones, jewelry and sparkly items! I have the honour to be a part of this event as a vendor this year. Every year, this event grows in popularity. Come and get your new treasure! “Infinite” painting has found a new home! New bracelets with Swarovsky crystals! Bablofil on A new painting! © 2017 Suzannart.com All rights reserved.